A location in East Lothian, Garleton is centred to the north of the Garleton Hills, 2 miles (3 km) north of Haddington. The location includes West Garleton House and the farms of Garleton and East Garleton. 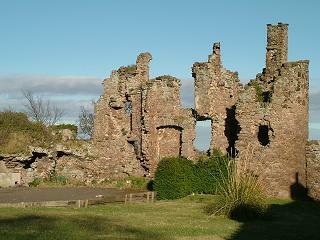 The remains of the 16th century Garleton Castle can be seen at East Garleton. Garleton is thought to have been the birthplace in 1486 of Sir David Lindsay, noted for writing Ane Satyre of the Thrie Estaitis.